Fish oil- useful or not? A few of you have asked us for our thoughts on the “fish oil is useless” research published by Cochrane today. – Comparing plant-based and fish-based omega 3 as an equivalent product. – Lack of clarity regarding the quality of the oil used. The majority of fish oils available on supermarket shelves are rancid. 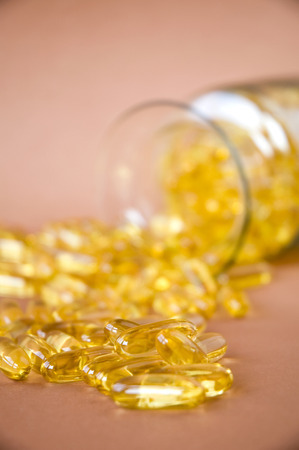 No indication is given as to the type or quality of fish oil supplement provided in this trial. 2) This study looks at heart risks. Not ALL risks. And not ALL heart risks either. The majority of the studies included in this trial were on people who had pre-existing cardiovascular disease which therefore means the results cannot be applied to the wider population. Previous observational cohort studies which were not included in this trial suggest that omega-3 fatty acids may reduce the risk of sudden cardiac death. Ultimately, you can’t supplement your way out of a bad diet, so a healthy, balanced diet, regular exercise, not consuming alcohol to excess and not smoking is the only way to truly protect yourself from heart disease. We recommend supplements from vegan friendly company Cytoplan who have kindly created these infographics on omega3 and krill oil supplements. If you’re a patient of ours you can order these yourself online using our practitioner code or directly from us in clinic.